1 Navigate to the dashboard. Click the Dashboard button in the upper-right corner. 2 Click the Account button. This button is located in the upper-right corner, on the left of the blue Make a Post button. After you click the button, a window should drop down. 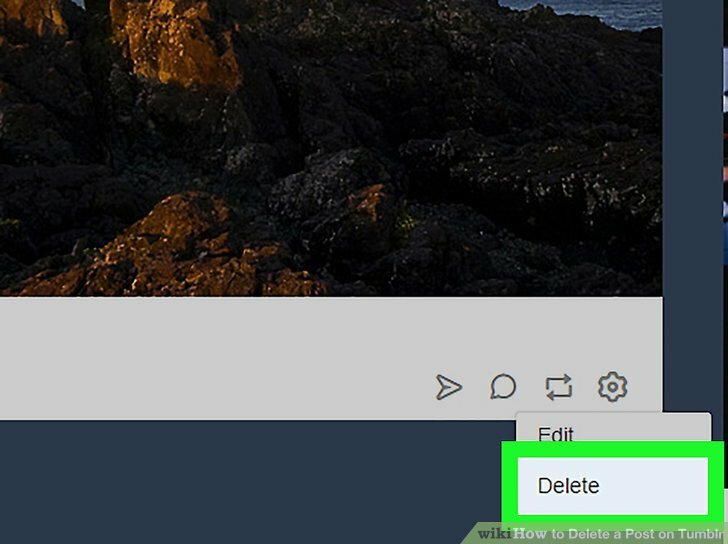 –> Click the Posts buttonunder the Tumblrs tab in the window that just dropped down. 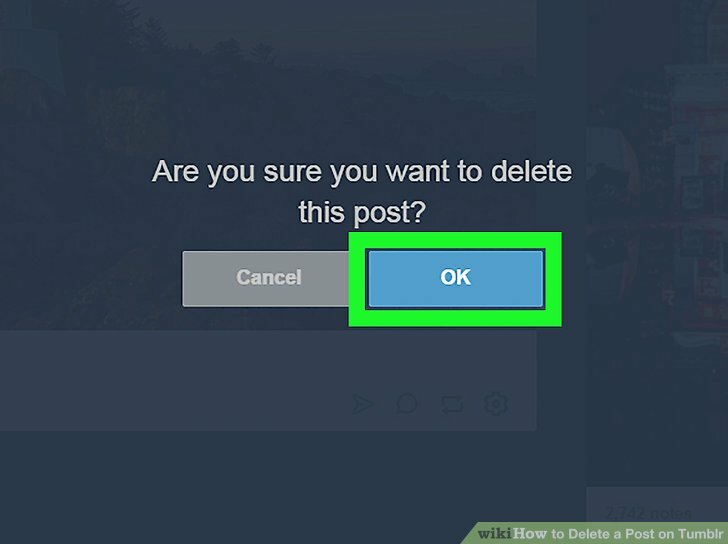 3 Locate the post you want to delete. The posts will be ordered chronologically, so you only have to scroll until you found the unwanted post. Click the gear-shaped button in the lower-right corner of every post. A small menu will pop up. 4 Click the Delete button. 5 Click the OK button. This will delete the post.